Abraham Lincoln, were he among us today, would stand on the gold dot in the center of the Rotunda of the U.S. Capitol, lift his eyes to the apotheosized or glorified George Washington in the Eye of the Dome he willed to raise, and weep. He would weep for the Soul of America. He would weep for us. Then, he’d spit some Beechnut in the eyes of the forces of spiritual tyranny that use economics, propaganda, psychological and spiritual warfare to destroy freedom and to enslave us. With clear eyes Lincoln would summon the mighty forces of the universe, and with a flaming heart he would proclaim this mystical crisis a soul rising, a fight to lift, heal and save the Soul of America, and a fight for free humanity everywhere, now and in the future. 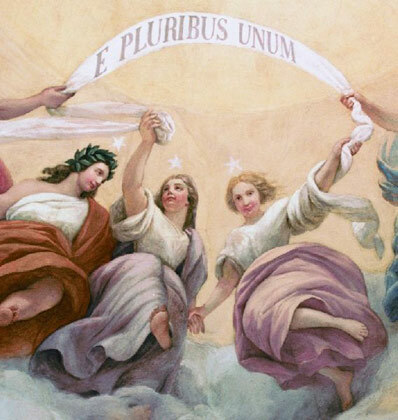 Then, Lincoln would call all rising souls – “We the People of Earth” – to embody the mystical, but practical, wisdom offered by the immortal Battle Hymn of the Republic. This is America’s fight song against slavery (in all its forms). It is about attaining spiritual freedom. An American is any soul in pursuit of “life, liberty and blessedness” or spiritual freedom. So the world shall be His footstool, and the soul of wrong His slave, Our God is marching on. Set to the music of “John Brown’s Body”, first known as “Canaan’s Happy Shore” or “Brothers, Will You Meet Me?”, the words of this majestic hymn (from hymen or ‘wedding song’) are cosmic. 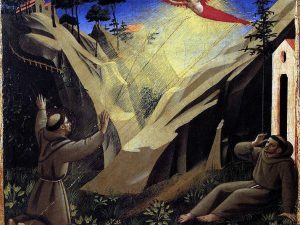 This song advocates Transfiguration – personal transformation, awakening of the ineffable spiritual body and ‘metamorphosis into light’ – by the divine power or glory of Christ (‘who is wisdom to the mighty’) as a protection against dark forces. 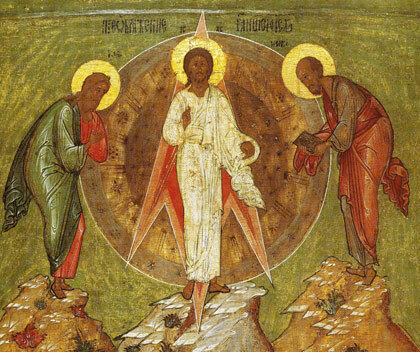 The Transfiguration described in the Battle Hymn occurred when Jesus took three disciples to a mountaintop and put on the bright white garments of light otherwise known as the Robe of Glory and the wedding garment. 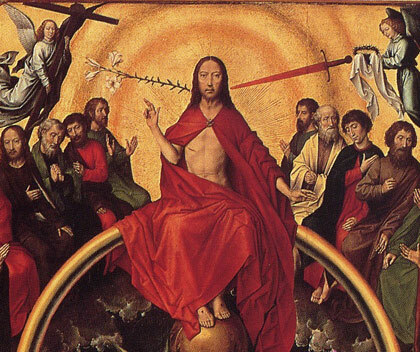 In Christian art the transfigured Jesus glows with rays or waves of glory. This celestial garment or ‘light body’ is thought of as a conveyor of the soul to the realm (or dimension) of light. 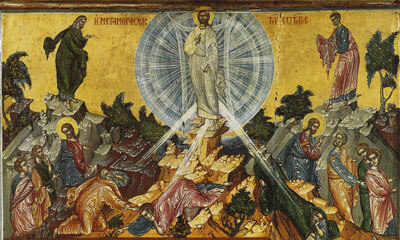 Indeed, the light behind Jesus in Transfiguration art resembles a portal or a vortex. Moses and Elijah appeared beside Jesus. While he spoke with them a bright cloud cast a shadow over them. God spoke from the cloud. Terrified, the disciples fell prostrate. But Jesus came and touched their soul, saying, “Rise and do not be afraid” (Matthew 17:7). Julia Howe received the words to the Battle Hymn in a dream/vision in November, 1861 during the early hours of the Civil War. Like many Christians of her era, she believed Judgment Day, as described in Revelation 20:12, was at hand. In an article entitled “Religion In The Civil War: The Northern Side,” James Howell Moorhead of Princeton Theological Seminary provides important religious context for the Battle Hymn (and also the raising of the New Capitol Dome). Northern Protestants, Jews, and Catholics of America who ardently supported the war for the Union believed America held a special place in World history. A Northern victory would clear the way for the establishment of the Millennial Kingdom of God, the thousand years of peace that prepares the way for the Second Coming of Christ. The problem for the North was that the war going badly. As Union forces suffered military defeats, Northerners began to view the losses as punishment by God. Church leaders sought new ways to rally the masses. Slavery was that issue. The Battle Hymn appeared at the moment when the Northern view of the Civil War shifted from a battle to preserve the Union to an all-out spiritual battle for Liberation. It was received by Christians of the era as a warning to the entire nation of God’s Judgment for slavery. The song became the battle cry of the Union forces. Hallelujah (“praise Jehova”) or Allelulia was a battle cry in the Middle Ages and was credited with powerful victory-magic. It was thought to kill the enemies fighting spirit. 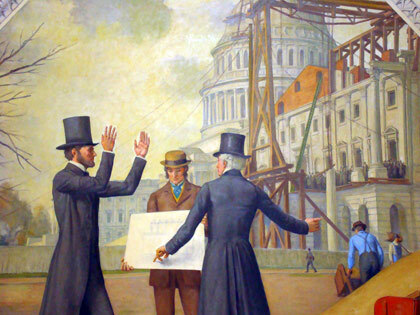 The Battle Hymn stirred the soul of Lincoln who urged that construction of the New High Dome of the Capitol continue amidst protests from some who believed the mounting Capitol construction funds would be better used in the war effort. Amidst embattled skies the Dome of the Temple of Liberty rose like a great white mountain. When the statue of Freedom was placed on its peak in 1863 the Dome became a symbol for the millennial kingdom promised after Revelation 20:12. 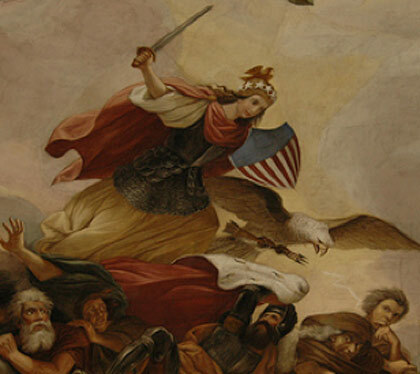 Constantino Brumidi’s fresco of the glorified Washington in the Eye of the Dome solidified the Capitol’s symbolism as a gateway to freedom. Indeed, a stargate to heaven. Thus, the Battle Hymn, the Capitol Dome and the Apotheosis of George Washington (more momentarily) fit together as symbols for America’s fight for Freedom, earthly and cosmic. They inspire us today. 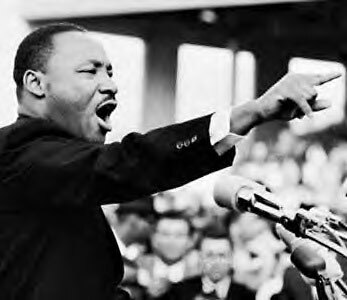 Martin Luther King Jr. frequently quoted the verses of the Battle Hymn in his speeches, most notably in his last speech, delivered on April 3, 1968 in Memphis, TN, and popularly called “I’ve Been to the Mountaintop.” King boldly likened himself to Moses and foretold his own assassination prior to the entry of the People into the Promised Land. At 6:01 p.m. on April 4, 1968, Dr. King was murdered while standing on the balcony of the Lorraine Motel in Memphis. A great man was cut down, but his dream lives on in millions of lives. King used the Battle Hymn as it was intended to be used, as a battle cry to inspire us to wise up, to rise up against oppression, and commit ourselves to stand-up righteous (‘wise’) actions. Righteous is an early 16th century alteration of rightwise, from the Old English rihtwis, from riht “good” + wis “way”, meaning to sacrifice for a greater goal. The apostle Paul maintains the only way to achieve righteousness is through the Law of Moses or as a gift of grace that comes from faith in Christ. Jesus’ brother, James, however, links righteousness with action, saying “faith without works is dead” (James 2:14-26). The Good Way of Righteousness is perhaps best explained in the Buddhist Eightfold Path: Right view, Right resolve, Right speech, Right action, Right livelihood, Right Effort, Right awareness. Right meditation. The Buddha taught the Noble 8-fold Path to his disciples so that they could achieve liberation from suffering. In Buddhist thought, the word ‘right’ is understood to denote completion and coherence in addition to perfect and ideal. 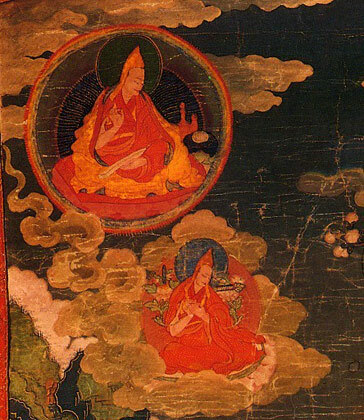 Righteousness is equated with enlightenment and self-awakening works. In his Sermon on the Mount, Jesus talked about the eight benefits of living in the divine light of righteousness. These benefits, or blessings, are known as the beatitudes, from the Latin word beatus or “blessed”. 5. Blessed are the pure in heart: for they shall see God. 6. Blessed are the peacemakers: for they shall be called the children of God. 8 Blessed are they which are persecuted for righteousness’ sake: for theirs’ is the kingdom of heaven. This “Good Way” or “God Way” to live is at the heart of the lasting legacy of the Battle Hymn. It is not a call to battle to the death, but a call to battle against the evils of a confused society and its leaders. 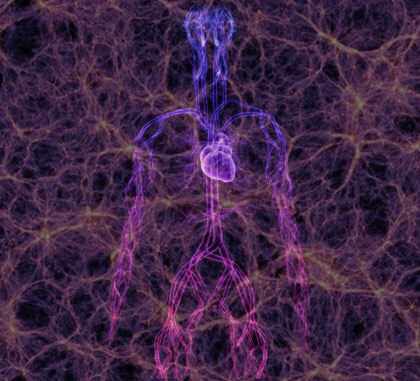 It is a call to transfigure (8) our highest selves and potentials. It is a call to becoming more righteous and putting on the blessed light body. It is a call to soul rising. Moreover, the Battle Hymn is a call to unity. In Jewish tradition, the union of righteous souls forms a luminous pillar of light or column of glory that leads souls to paradise. Tzaddik is one Hebrew name for this cosmic conduit between planes or dimensions. When the righteous souls in the world act righteously, then the pillar is strengthened, but if not – the pillar is weakened. The soul, if found worthy, ascends this column of glory and is given a pass to paradise. Along the way we meet entities that have gone before us and are more knowledgeable, powerful, and even divine. For instance, the majestic figure Lord Melchizedek (Hebrew for “king of righteousness”) is seen as a divine being and a great ambassador of peace. In the Epistle to the Hebrews Jesus the Christ (“he is wisdom to the mighty”) is identified as a priest forever in the order of Melchizedek. In William Holman Hunt’s “The Light of the World” Jesus is portrayed as the King of Righteousness. He wears the Crown of Salvation and a cloak, the Robe of Glory, with the Breastplate of Righteousness clasp. 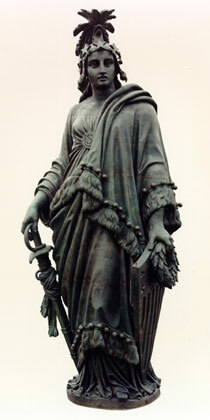 “Freedom” by Thomas Crawford. This angel of freedom is Shekinah Glory. She was raised in 1863, just two years before the Battle Hymn was written. 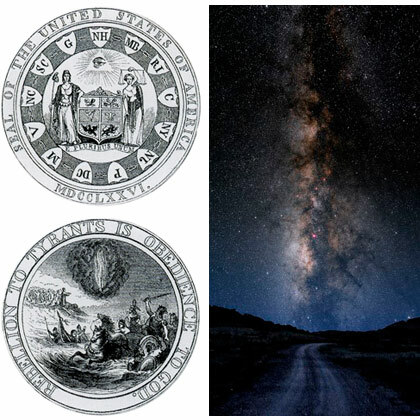 Jefferson’s seal reminds us that the pillar of light will manifest. The Soul of America will be saved. The American Revolution in human rights will turn to the awakening, rising and shining of the collective soul of Earth. All our earthly problems will be solved. That is where we are today. That is why we are here. By invoking the words glory and transfiguration, Ms. Howe reminds us that renewing our mind and spirit in the image of the Transfigured Jesus is the key to Victory and Freedom. The word transfigured comes from the Greek verb ‘metamorphoo’, meaning “changed in form” or “transformed.” We get our English word metamorphosis from it. It is a change of form: like a caterpillar into a butterfly or a tadpole into a frog. They go through a metamorphosis, a change of their forms. This powerful and provocative word is used only four times in the New Testament. Matthew 17:1-9, Mark 9:2-9 and Luke 9:28-36 use it to describe the Transfiguration of Jesus. Glory was used in Biblical writing to translate a Hebrew word which had a sense of “brightness, splendor, magnificence, majesty,” and this was subsequently translated as the Latin gloria, which has colored that word’s meaning in most European tongues. By using the word transfiguration, Matthew, Mark and Luke highlight a substantial change in Jesus. He became glorified. Not just a superficial, external change, not a vision, glory is a substantial transformation of his whole being into bright, majestic light. In The Interpreters Bible commentary on Exodus 34:29-35, it is stated that “when Moses talked with God, the skin of his face shown.” The Septuagint translation says it was ‘glorified.’ The light of the Shekhinah or Divine Presence was communicated or transmitted to Moses on the mountaintop. 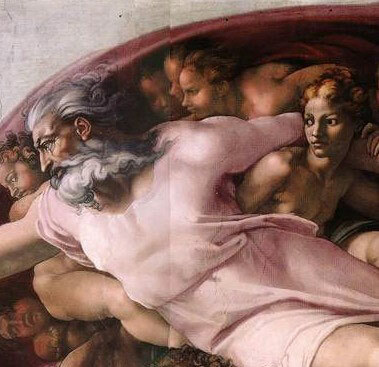 In 1986, Jane Schuyler, an art historian and professor at York College, CUNY, published an article about the beautiful woman under God’s arm in the “Creation of Adam” panel. Many assume this character is a preview of Eve, but Schuyler thinks this mystery woman could represent Shekinah, God’s female beloved from Kabbalah. According to Doliner and Blech, Kabbalah is the key to cracking the code of many of Michelangelo’s hidden messages. This clue came from a tourist from Indiana who looked up at the famous panel of “The Creation of Adam” and was reminded of something else. 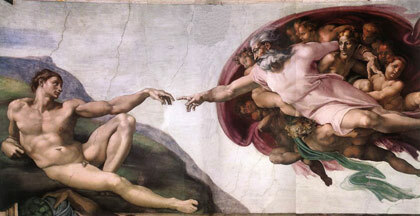 “In the late 1970s, a surgeon went into the Sistine Chapel, took a look at this [fresco]. He said to himself, wait, this is Anatomy 101.… This is actually a cross-section of the brain, the right hand side of the brain,” Blech said. “Now, what’s interesting is in Kabbalah we have different kinds of wisdom,” said Doliner. “The right side of the human brain in Kabbalah means wisdom – chokhma.” God is appearing from the right side of the brain in that fresco. Simply, the Battle Hymn challenges us to go to the mountain top, open the tomb encasing our soul, let the light shine on and Transfigure us. Only then are we ready for the righteous pillar of rising souls. So, how do we achieve glory? Clues are found in all the world’s spiritual traditions. Union with the Divine Source, glory, and the tradition of the Judgment day and an accounting for our actions in life are linked in Egyptian tradition. The Judgment was introduced after the collapse of the Old Kingdom, during which the king as son of Horus had been immortal and as god beyond reproach. But, as ordinary mortals began to hope and prepare for eternal life, “deification” or “apotheosis” was made conditional on the moral conduct of the deceased when he had still been alive. It became possible for all righteous people to attain immortality in their own right – after successfully passing the examination or interview of the gods. The Coffin Texts speak of the Day of Judgment when the soul enters the further world, or “the lightland” in human form (the immortal afterlife image is portrayed in the likeness of the mortal person). on the blessed day you pass beyond. I come through the holy portal. The holy portal is called the gate of Shu, said to be the god of the space and light between earth and sky. This portal is the entrance into the afterlife. I shall see light-land! I shall dwell in it. I shall judge the poor and the wealthy. Jesus is clearly affirming the ancient Egyptian belief in a glorified realm, called Light-land, where dwells a race of glorified/Transfigured beings who live in a permanent state of love. This is the lost secret, a secret that came from the Light-land. 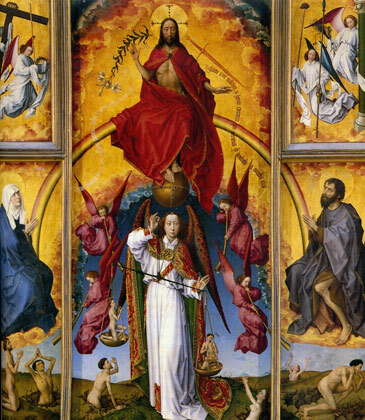 In Christian art the resurrected Jesus is portrayed in glory on his Rainbow Throne of Judgment. He radiates Divine Love, symbolized in Christian art by glowing rays of rainbow light. That’s glory. 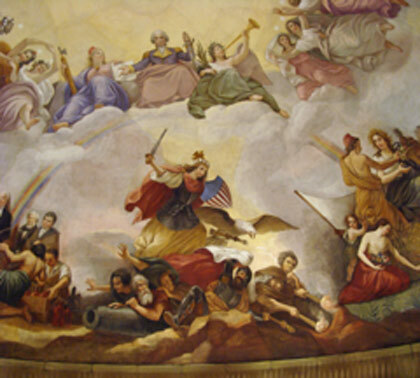 In light of the Great Perfection tradition, it is eye opening to observe that George Washington is portrayed on the rainbow throne of Glory and surrounded by 13 star maidens in the painting The Apotheosis of George Washington in the Dome of the U.S. Capitol. Constantino Brumidi painted this icon in 1865. He surely knew the inspiring words to the Battle Hymn having spent the Civil War years painting in the Capitol. In our book Freedom’s Gate: The Lost Symbols in the U.S. Capitol, Dr. Mark Gray and I decoded the U.S. Capitol as a Temple of Ascension. Its symbolism, we documented, is about the transformation of individuals into gods or apotheosis. After contemplating the words and intentions of America’s Founders we concluded that True Freedom is the same as enlightenment. Liberty is the awakening of higher human consciousness, the cosmic consciousness of the gods. Glory is the (transmittable) light (and knowledge) of heaven, which is attained by the highest spiritual achievement. Freedom is enlightenment. Enlightenment is Freedom. Liberty is cosmic consciousness. Cosmic consciousness is Liberty. Glory is the light of heaven. The light of heaven is Glory. As noted, glory is represented by a glowing golden halo or a circle of light. Being filled with spiritual light, the glorious ones have an intense glowing. This ethereal light gradually transforms the body itself into a more ethereal substance. In ancient Egypt the circled dot is the symbol for light. This ideogram seems to have been used in every cultural sphere on earth. Wherever it appears, it has the same meaning: the sun or something that is closely associated with the sun. In alchemy it is the symbol for gold. It is the symbol for the totality of all things, the Divine Source, (the Monad) in Pythagoreanism. 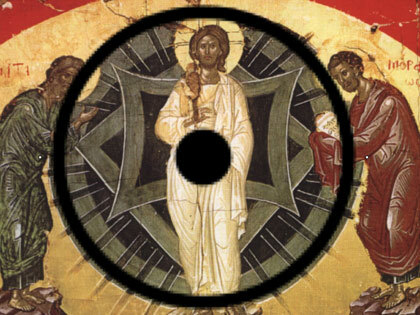 In esoteric astrology the circled dot represents the creative spark of divine consciousness that exists in every individual linking him or her to the Divine Source and origin of life, and making him or her the co-creator of the world. This spark of consciousness is the self. In alchemy it is the symbol for gold. It is the symbol for the totality of all things and the achievement of glory. It may be thought of as the Ring of Glory. As a ring it is a vibration, a frequency attained by wedding our soul with the vibrational essence of the Divine Matrix, the Dimension of the Blessed or the Light-world. How do we achieve the Ring of Glory? 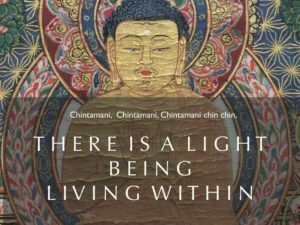 We do so by embodying the 8-fold path and acting righteously. Fill your daily life with right actions, mystical actions, spiritual actions. Actions are the key to fulfillment. On a fresh piece of paper draw a circle as large as you can make it. Put a dot in the center of the circle. Write “whole, holy, complete, 360” inside the circle. Assess your life. How whole are you? Pick a number on a scale of one to ten. If, for example, you are at a 5 think of all the things you are doing mentally, physically, spiritually and emotionally that define “5”. Now, imagine what you will be doing when you are at, say, a 7. What are new things you will enjoy doing mentally, physically, spiritually and emotionally at a 7 that you are not presently doing. List those things. Try to come up with 5, 10, 15, 20, 25 new and different new things that the more whole and complete you will be doing. Now, prioritize this list from perceived easiest to perceived most difficult. Then, do those new things …and only those things. Your frequency or ring will change as a result. 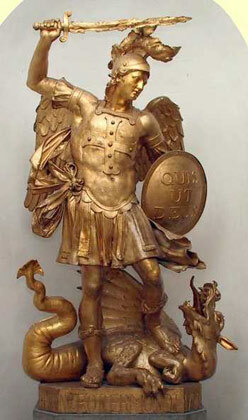 In Kabbalistic mysticism, the archangel Michael was related to the sun and the day of the sun, Sunday. Thus was the circled-dot sign used to represent Michael. 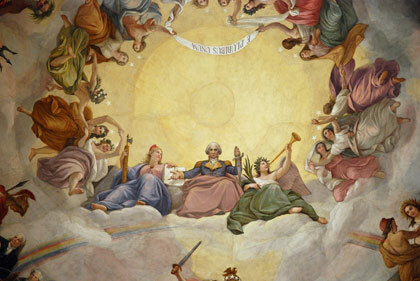 We can now appreciate the similarity between Michael and Freedom as the “guardian angel” of George Washington in the Apotheosis of George Washington in the Dome of the U.S. Capitol. Both are spiritual or ‘light warriors’ who stamp out tyranny in all its forms. 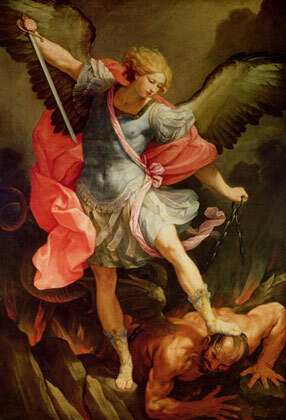 “Therefore put on the full armor of God, so that when the day of evil comes, you may be able to stand your ground, and after you have done everything, to stand. At any given moment the human soul can connect with the Divine Glory and envelop itself in this six-fold veil/cloak of the Light Warrior. It is our intrinsic nature. Even if we achieve only one piece of this armor we will benefit immensely. Vishnu. Eighth century. (Museum Nasional, Jakarta) Vishnu here is represented as a handsome youth in the attire of an ancient king. He is seen in necklaces, a bejeweled waist belt and a high royal crown. 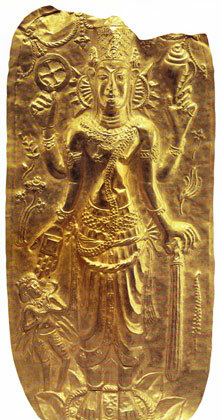 Vishnu holds the discuss, symbol of the mind. In the lower right hand he holds the mace, symbol of primeval knowledge. In the upper left hand which represents the tendency towards dispersion and liberation, Vishnu holds the conch, symbol of the five elements. Take a moment now to imagine putting on these symbols and feeling the presence of power they embody. Right meditation. Begin your journey by Standing Up in the Sandals of Peace. These ‘magic shoes’ plug into the magnetic core of the earth to keep us centered, grounded. Feel the sandals activate your body. Note that the sandals have wings. Right livelihood. Next, put on the starry crown, the halo or Helmet of Salvation. Enter the state of mental clarity, universal consciousness, cosmic consciousness. Right view. Right awareness. Put on the Breastplate of Righteousness. Gently awaken your heart. Feel “glory in your bosom” and the frequency of compassion radiating from deep inside and with it a new luminescence, a light that fills your body with a glow. Right effort. Put on the Belt of Truth. Right resolve. Hold the Sword of Truth in your hand. Without the ‘s’ Sword is Word. The Word is the life force energy. The Word is LOVE. Right use of this energy brings protection, health and security creating the Shield (‘force field’) of Faith that grows stronger with use. Right speech. We are now well on our way to embodying the cloak of the light warrior. As a consequence we are now able to open a direct channel with the Divine Source. We strengthen the Pillar of Light. Right action. Finally, imagine a majestic cloud of light hovering above your body. This is the Shekinah. Allow the light of the Shekinah to descend, surrounding you with a rainbow glory around your body. Feel your body being to vibrate at the highest frequency possible. Now, your soul is rising. I ran into YESHUA at communion a few years ago. Literally. He appeared to me flanked on either side by the Heavenly Host. I jumped into his heart via my Light Body, and looked up at the Light descending from the Throne THROUGH HIS EYES! …kinda a different take on him giving me his body! It was easy and very “non-supernatural”. It’s the fleeting moments like this that make it all worth while.